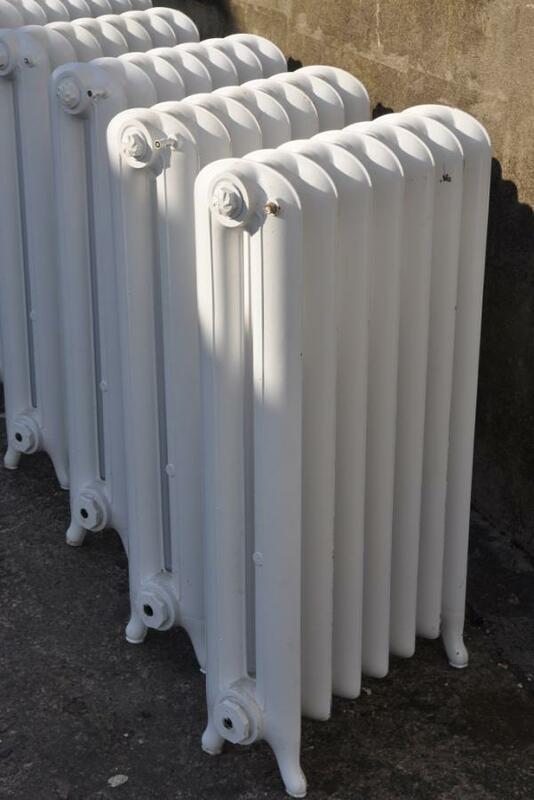 And a low (26" high)fat triple columned princess 16 sections ( approx 49" wide)and approx 9 inches deep Could be used as is ( after pressure testing) or repainted. 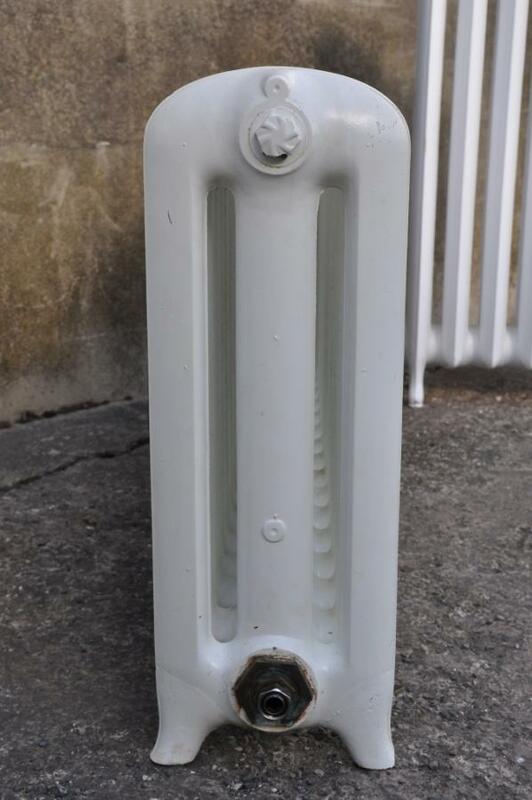 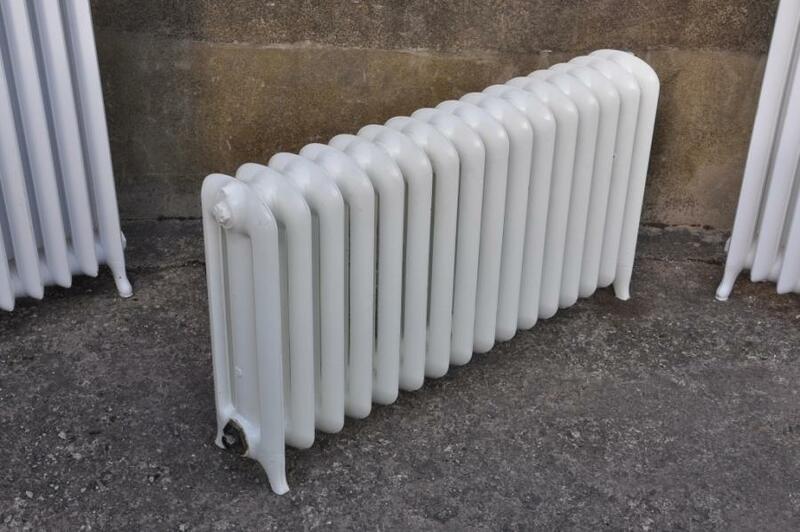 Other radiators available in many different sizes and styles. 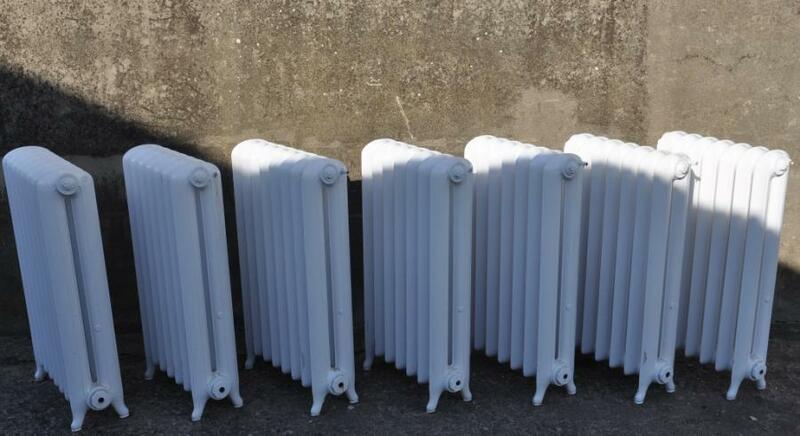 The low radiator remaining from this set,tall ones sold.